Years ago, outdoor play environments were much like the wild west. Dirty, unregulated and very unsafe. New laws, safe practice standards and trends took effect to completely change the landscape of playgrounds as we know them. Aquatic Play has quickly transitioned in recent years from traditional in-ground pool environments to the high intensity interactive splash pads and spray parks we love today. This evolution in Aquatic Play has sparked a change in how the aquatic industry approaches safety, specifically in the creation of safer aquatic surfacing options. To take your project into the future, Adventure Playground Systems offer several surfacing options that are safer, easily maintained and add immense visual impact. Polysoft is the industry leader of quality aquatic safety surfacing. Polysoft Splash was specifically designed for aquatic environments where safety, comfort and reliability are paramount. This seamless aquatic pour in place surfacing material is made from a combination of flexible and durable colored polyolefin granules and a specially developed two part aliphatic polyurethane binder. This coupled with colorfast technology, protects against premature fading and provides excellent resistance to UV radiation and to chemicals such as chlorine. Versatex by PolySoft is a highly resilient surface best suited for areas that require a impervious, attractive, slip-resistant tactile finish. It is suitable for both dry and wet applications. It is well suited for indoor and outdoor pool surroundings, amenity rooms, showers and changing rooms. The right aquatic surfacing solution can make your splash pad area safer, more visually appealing all while maximizing fun. Your team at Adventure Playground Systems is here to help. We are a national distributor for Polysoft and Versatex aquatic surfacing. 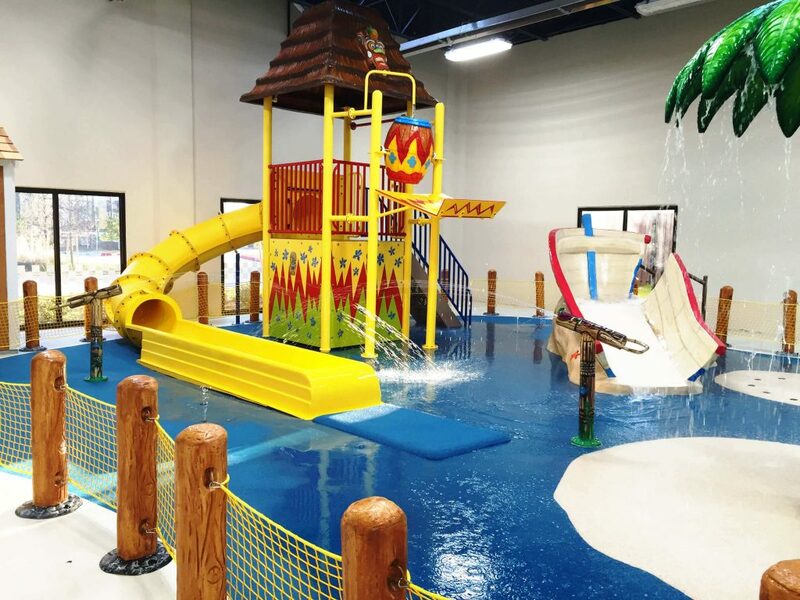 Additionally we offer an extensive array of other play and park solutions — from our Houston, TX, facility. Our CPSI-certified Adventure Play Experts oversee each aquatic playground from design to construction, ensuring all equipment upholds the highest standards of safety, quality and reliability. You can choose from a wide selection of aquatic surfacing options when you work with us. Customize surfacing colors, design styles and sizes so you’re finding the perfect surfacing solution to meet all your specifications. We can even create custom artwork and surfacing designs specific to your needs. Just give us a call at 1.888.935.2112 or fill out our contact form online to get started. Our Adventure Play Experts will be happy to point you in the right direction and walk you through every step of your aquatic surfacing project.